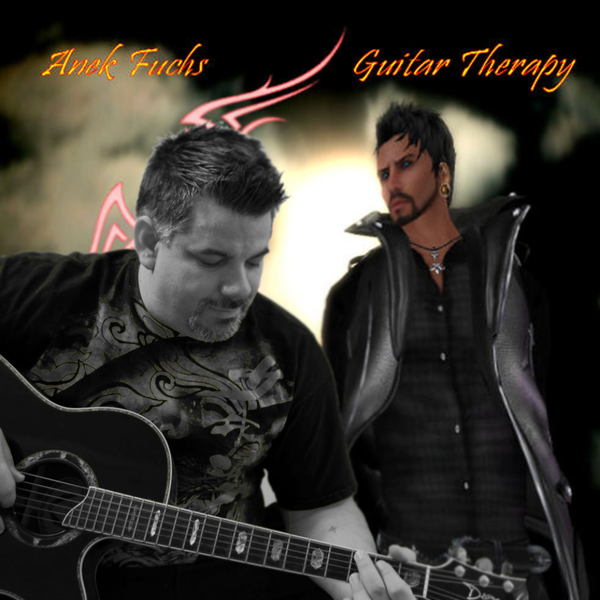 UPDATE: Show canceled…ANEK FUCHS LIVE at Ce Soir – Sunday, 7 PM SLT – Ce Soir Arts – Be inspired tonight! Here we go, people! Anek Fuchs, guitar master extraordinaire is back for a return engagement on the Ce Soir stage. If you were here last week – or if you’ve seen and heard Anek elsewhere, you know the drill! Come early, stay late, and enjoy! Whether he is SHREDDING the strings or tenderly making them sing, an Anek Fuchs show is a must-see, must-hear. This music is so BIG that you’ll be amazed. And then, he takes a turn in that mercurial way he has, and the sweet ballads flow. His voice will wrap itself around your heart while that guitar simply transports you to another dimension. He might come dressed as a biker dude or an elf; he might be the sexiest thing on two feet or a red alien. You only know one thing to expect at an Anek Fuchs concert: EXCELLENCE. It’s GUITAR THERAPY, and the doctor is in! Previous Fae & Fantasy Poetry with Russell Eponym: NOON TODAY! Next UPDATE on…MONDAY NIGHT at Ce Soir: Don’t miss this!